Your small business gives you an opportunity to make money doing something you love. Unfortunately, the effort invoice management takes can sometimes feel like a perpetual chore. When your cash flow depends on timely invoicing and follow-up with past-due payables, it can steal time away from the business tasks you enjoy. That won’t change as long as you or a paid employee must juggle paper invoices, stamps, and snail mail payments. Even if some of your cash arrives via POS transactions or online payments, keeping track of both paper and digital cash can cost you energy, effort, and valuable time away from your business. 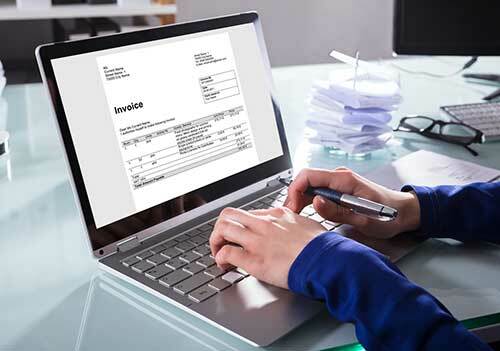 The Goode Bookkeeping and Consulting team offers an Invoice Management solution that can minimize your invoicing duties while advancing your cash flow. Our team documents, forwards, and tracks your invoices with bookkeeping software. We monitor incoming payments and bank deposits and reconcile your accounts. Our secure, efficient invoice management system gives you control over your financial data and more time to run your business. You forward digital and online payment information and scan or photograph and upload paper invoice documents. We handle the rest. We merge your invoicing data into your cloud-based account. Our secure online accounting software tracks payments as they enter your data stream. Your accounts stay up-to-date with data on billed and paid invoices, partial payments, and pending payments. You’ll save time because we maintain the systems that track and monitor your invoicing and cash flow. You’ll save money because you won’t have to pay a salary for a dedicated accounts clerk to do it for you. Our bookkeeping team automates your accounts so your invoice payment status stays up to date. We store virtual copies of your invoices so they’re always available if you need them. We set up your Invoice Management system using the latest accounting technology. It’s the most efficient method for organizing, tracking, and reconciling your invoicing data. Technology helps streamline the process and keeps it accurate, which makes it more cost-efficient than traditional methods. Your system gives you 24/7 access to your financial data. You can get a quick glance at your financial status or generate clear, organized reports that details the information you need. Also, we store online copies of your paper invoices. After we integrate them into your invoice management system, you can toss the paper copies and reduce your paper trail.